Come this time next week, I'll be in New Orleans. I've never been there before, but have long been fascinated with the culture. It wasn't, however, my first choice for a March break vacation. That was Egypt. But with buying a new house, Egypt wasn't in our budget this year. Then you know what happened. It's nothing personal against New Orleans that it was the 2nd choice, it's just that we wanted to visit all the (habitable) continents first. You may remember that last March break we went to Japan. The tragedies. So many beautiful places and people on Earth, yet everything is so fragile. I'm hoping to find that New Orleans is well on her way towards recovery from Katrina. I need a dose of optimism right about now. In the meantime, I've gone looking for New Orleans or Louisiana books and stories. 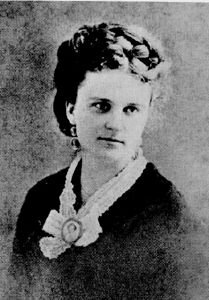 I'll begin with Kate Chopin's Bayou Folk, a collection of short stories available for free online. It contains one her most famous stories, "Desiree's Baby," which I reviewed a few years back, and other stories set in Natchitoches, Louisiana. Mist'ess, I 's come to take a las' look at you all. Le' me look at you good. Le' me look at de chillun, - de big chillun an' de li'le chillun. Le' me look at de picters an' de photygraphts an' de pianny, an' eve'ything 'fo' it 's too late. One eye is done gone, an' de udder' s a-gwine fas'. Any mo'nin' yo' po' ole Aunt Peggy gwine wake up an' fin' herse'f stone-bline. God, I love that accent. The think accent, while vastly different, made me think of my family back in Newfoundland, and in turn, one of my grandmothers. While she wasn't preoccupied with blindness like old aunt Peggy, she was preoccupied with death. It sounds morbid, but after growing up hearing her say, "If I'm still alive by then..." whenever she was asked over for a Sunday supper or other family function, we all came to accept, and even expect it, as just one of her quirks, something that made her all the more endearing. Finding similarities between the most unlikeliest of characters is one of the reasons why I love reading, and traveling. But it also makes all those tragedies I see on TV all the more heart-wrenching. Sure picked the right time to buy a house, apparently. I've never been to New Orleans, but have always wanted to visit. Hope you'll post a travelogue! Despite years studying literature, and further years spent practicing writing, I still fail to grasp most short stories. Can't read 'em, can't write 'em. That said, I love the idea of a weekly short story column! It's just what I'm looking for to help me pick up the slack. I'm an independent novelist currently blogging about my attempt to self-publish my next book. Follow along at jakebabad.com. Hanlan's Point arrives in paperback on March 31st and as an eBook tomorrow! It must be really tough for you to process the tragedies in Japan, as I know how much you loved it. You do seem to have a knack for picking travel locations that are under challenge, naturally making me nervous about your stop at my house. I hope you enjoy your trip to New Orleans. I've never been there. My short story today is about a thief. I read a story from Dubliners this week. Jake: No time like the present. Carolsnotebook: It will be hard for this vacation to live up to how bad I need it. JoAnn: I don't know if I enjoyed it as much as Desiree's Baby, but it may be the funk I'm in. I read "The Awaking" with my classics club a number of years ago but haven't read anything by her since. Thanks for the link, I'm going to load it into my Kobo for future. I hope you have a great time in New Orleans! We could all use some optimism about now! I hope you have some to share.